Outdoor grilling is a wonderful way to prepare foods and helps impart a delicious flavor that just can’t be achieved with indoor cooking. No matter what type of grill you choose from, there are several safety considerations to keep in mind. The Consumer Product Safety Commission’s (CPSC) National Electronic Injury Surveillance System (NEISS) estimates that there were nearly 60,000 reported incidents of injuries to children under the age of 18 caused by grills that were treated in hospital in the United States in 2014. 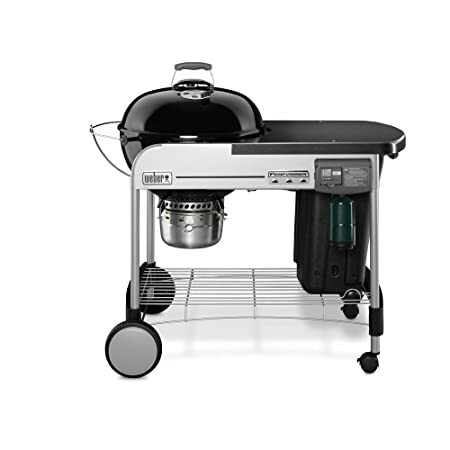 There are three main types of grills to choose from, and your needs along with space and budget will all factor into which type you’ll end up choosing. Things such as grate material and quality, size, ignitor style, side burners, work space, and storage space will all affect the overall price of the unit. Charcoal grills provide the most authentic barbeque experience and taste, and are typically the least expensive to purchase of all the grills. They will require a fuel of some kind such as charcoal briquettes. They can take some time to get up to temperature and offer less temperature control than electric and gas models. Typically, they are quite portable due to their smaller size, and some models are tabletop or come with a stand. 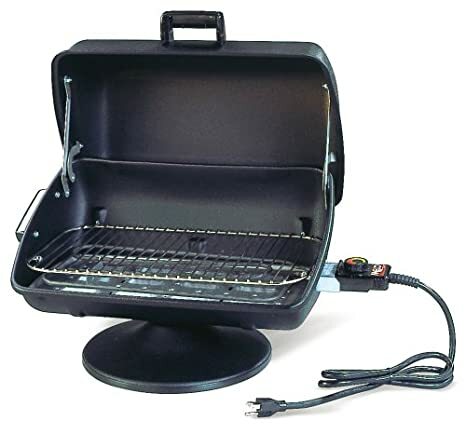 Electric grills run the middle-of-the-road in terms of cost, and require only a standard electrical outlet to operate. They allow for precise control of heat and are available in tabletop or freestanding models. Some electric grills can even be used indoors, but be sure to check your user manual first. Gas models are typically the most expensive, but offer more features than charcoal and electric models. They require a fuel source such as natural gas or liquid propane in order to cook foods. They typically heat up fairly quickly, and can often be purchased with grill accessories such as a side burner for cooking with pots and pans. They are available in both tabletop and freestanding varieties. 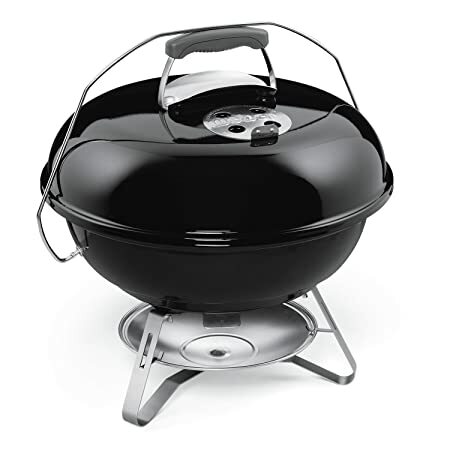 With the above information in mind, in no particular order here are 45 of the grills that we consider the best, based on available features and average customer ratings and reviews. 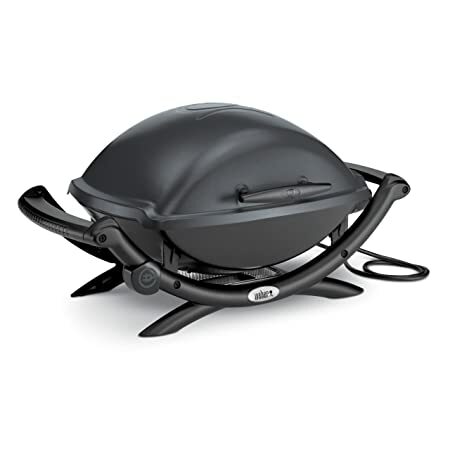 This original kettle-style charcoal grill boasts a 22-inch diameter that provides 363 square inches of total cooking space. The cooking grate is made of durable plated-steel and the vents are rust-resistant for years of reliable use. 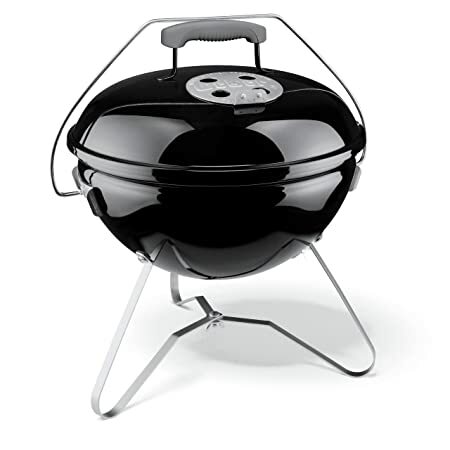 This charcoal grill boasts a compact size that makes it ideal for on-the-go cookouts and family get-togethers. It boasts 160 square inches of cooking surface and features a triple nickel-plated cooking grate for years of reliable use. 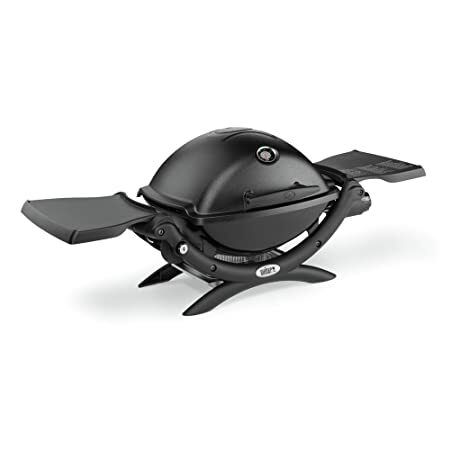 This tabletop charcoal grill doubles as both a cooking grill or a smoker depending on your needs, and features a compact design that’s easy to set up nearly anywhere. 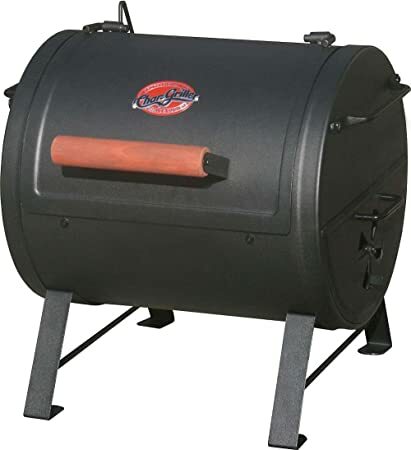 It is compatible for use as a smoker with the Chargriller Pro Deluxe, Wrangler, Outlaw and Duo. If you are in search of additional smokers, see our list of The Best Smokers. 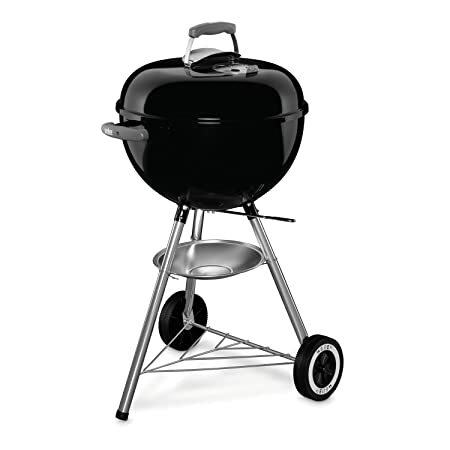 This charcoal grill boasts a compact design that is ideal for small spaces or on-the-go cookouts and features adjustable rack heights that allow you to temper cooking speed. 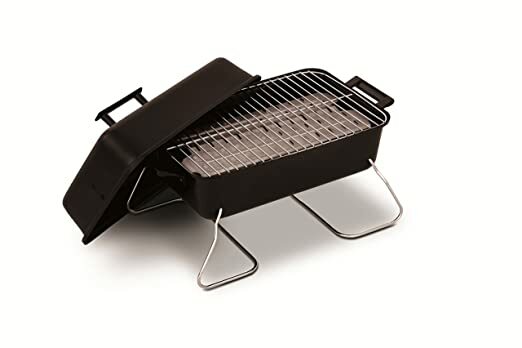 This charcoal grill boasts a compact and portable design that makes it ideal for tailgating, camping, and other on-the-go events. 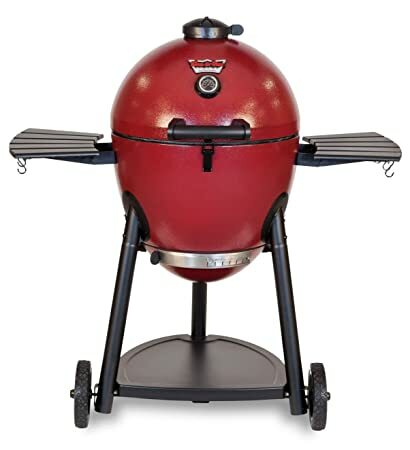 It features an 18.5-inch diameter and provides 240 square inches of cooking space. 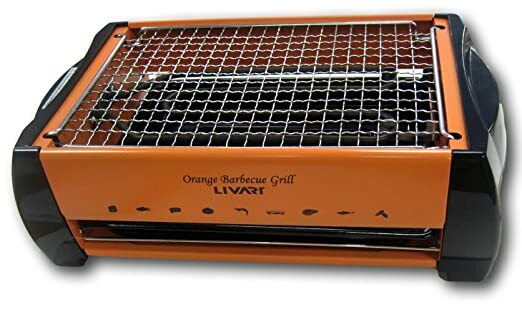 This charcoal grill boasts a tabletop design that is easy to set up nearly anywhere, yet still provides a cooking surface of 157 square inches. The cooking grids can be adjusted three different ways for all your needs and the wooden handles help protect against the heat. 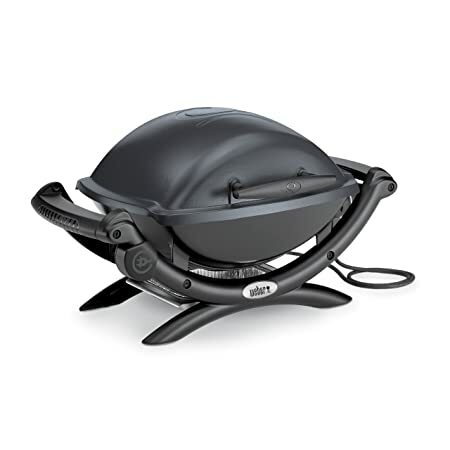 This original kettle-style charcoal grill boasts an 18-inch diameter that provides 240 square inches of total cooking space. The cooking grate is made of durable plated-steel and the vents are rust-resistant for years of reliable use. 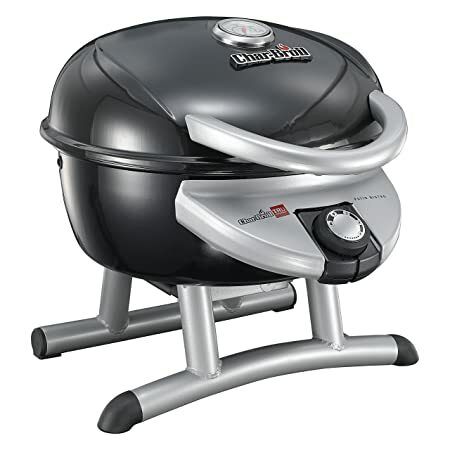 This deluxe charcoal grill provides a cooking area of 363 square inches and boasts an electronic Touch-N-Go gas ignition system to get you fired up in no time at all. It also features a built-in lid thermometer and removable LCD cook timer to get your food the perfect temperature every time. 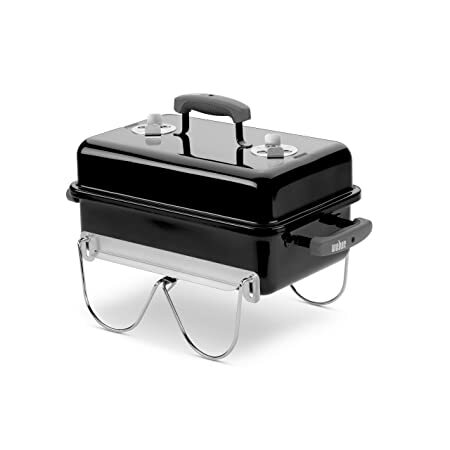 This original charcoal grill boasts a compact and portable design that makes it ideal for on-the-go cookouts and for use in areas where space is at a premium. The 14-inch diameter cooking grate is made of triple nickel-plated steel for years of dependable use. 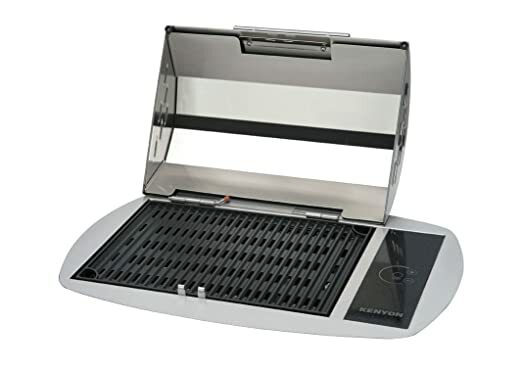 This charcoal grill boasts a tabletop design that is compact for ease of portability, and features a total of 150 square inches of cooking surface. The firebox is porcelain-coated for durability and the removable ash tray makes for quick and easy cleanups. 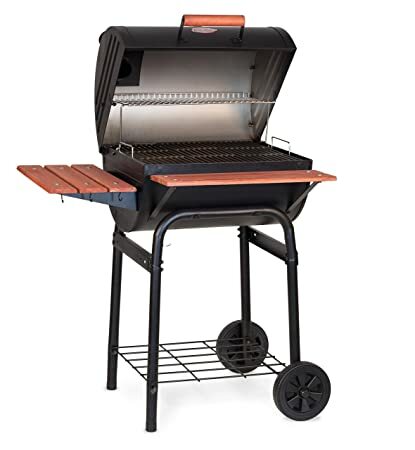 This charcoal grill is available in a choice of three sizes to suit any family’s outdoor cooking needs and provides 816 square inches of total cooking surface that allows you to cook up to 30 hamburgers at once. The three cast iron sliding porcelain enameled cooking grates retain heat to cook foods better. 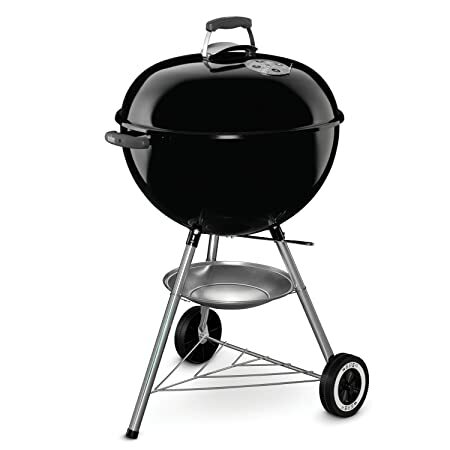 This charcoal grill is available in a choice of sizes to suit any family’s cooking needs and is available with or without a grilling tool set. It features a built-in lid thermometer and provides up to 635 square inches of total cooking space. 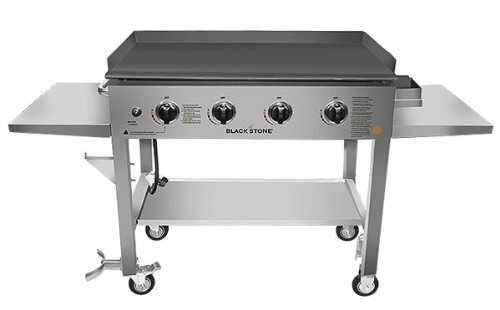 This charcoal grill boasts a compact, tabletop design that makes it ideal for use in tight spaces or during on-the-go gatherings. 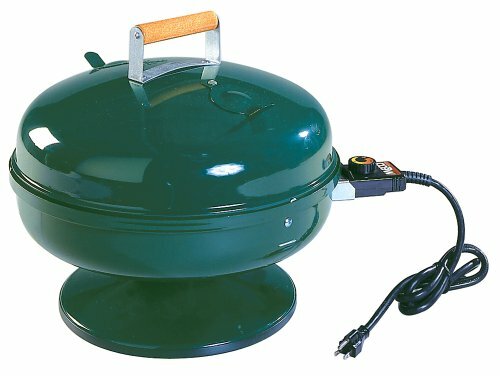 It features a durable handmade clay construction with adjustable ventilation to ensure the perfect cooking experience every time you use it. 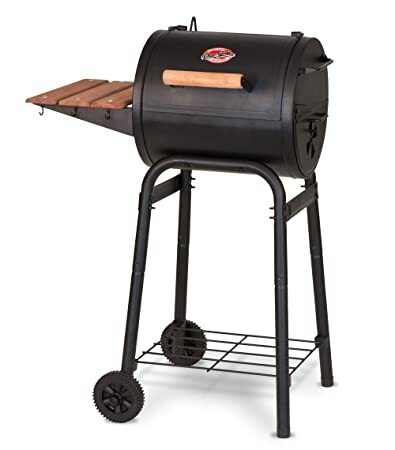 This charcoal grill provides 250 square inches of cooking surface on durable, long-lasting cast iron cooking grates and features a stay cool wooden handle on the lid to help prevent burns. The integrated side air vent allows you to easily adjust the cooking intensity. 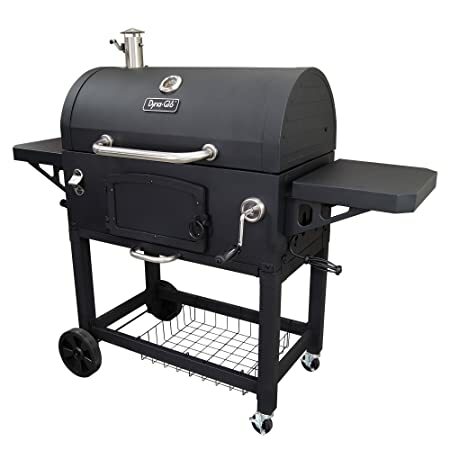 This charcoal grill and smoker combination provides 306 square inches of cooking surface and 165 square inches of space on the warming rack to keep foods warm. It is insulated to help retain heat and use less fuel, and the cast iron grates help retain heat as well. 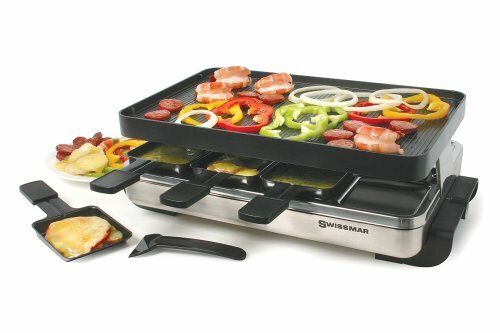 This electric grill is perfect for cooking raclette and features a reversible grill top to provide either a raised or flat cooking surface for your foods. It is suitable for cooking for up to 8 people at a time and boasts variable heat control. This electric grill provides a generous 320 square inches of cooking surface and boasts a TRU-Infrared cooking system that helps to cook food more evenly and with less flare-ups. This electric grill is suitable for use both indoors and outdoors and provides up to 240 square inches of non-stick cooking surface. It boasts variable temperature control to ensure the right temperature every time and the removable stand allows it to be used tabletop if desired. 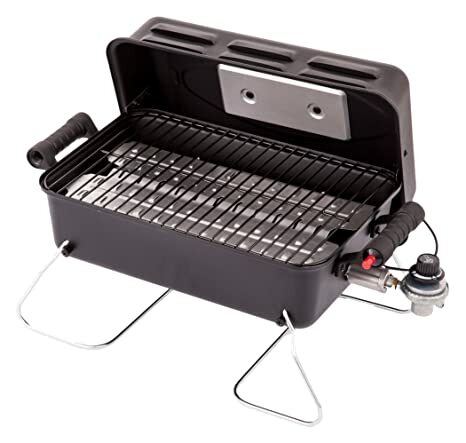 This electric grill provides 280 square inches of cooking surface and features a compact design that makes it ideal for use in smaller spaces or when grilling on the go. It is ready to use right out of the box and comes complete with a 6-foot grounded cord. 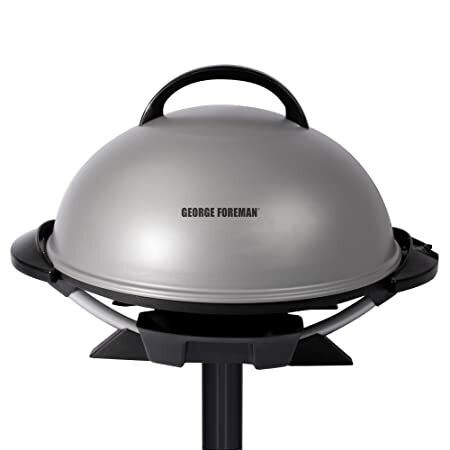 This electric grill is specially-designed for skewer cooking and boasts a stainless steel grate that is height adjustable and detachable for ease of cooking and clean up. The integrated bottom tray catches excess fat for healthier cooking. 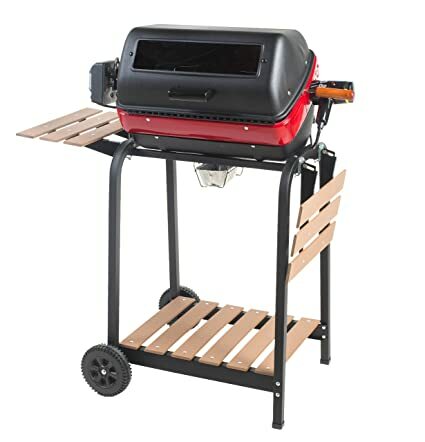 This electric grill offers a complete outdoor cooking package and comes complete with two side shelves and a rotisserie for all your cooking needs. The cooking element is adjustable in three positions and the integrated viewing window allows you to see what’s cooking on the 200 square inches of cooking space. 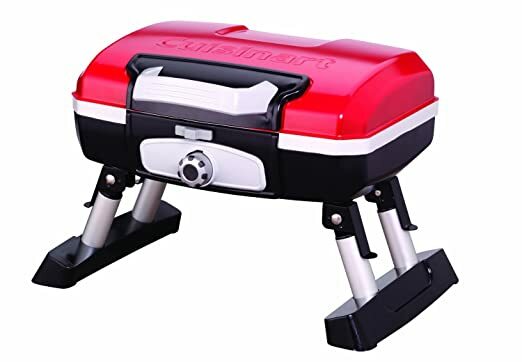 This electric grill provides 189 square inches of cooking surface and features a compact design that makes it ideal for use in smaller spaces or when grilling on the go. It is ready to use right out of the box and comes complete with a 6-foot grounded cord. 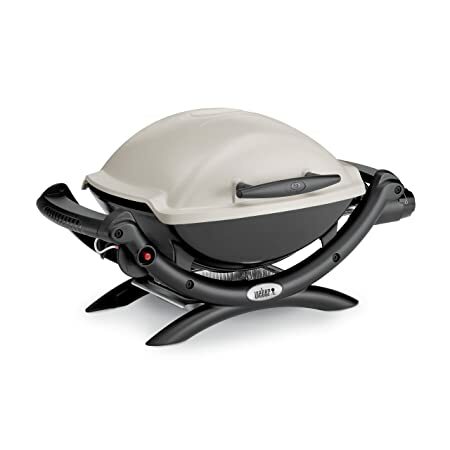 This electric grill is available with or without the stand to suit your family’s needs and features a compact design that is ideal for use in small spaces or for on-the-go grilling. It provides 145 square inches of cooking surface and plugs into any standard electric outlet. This electric grill provides 245 square inches of cooking surface and boasts a TRU-Infrared cooking system that helps to cook food more evenly and with less flare-ups. The tabletop design makes it ideal for use in small spaces or for on-the-go grilling. 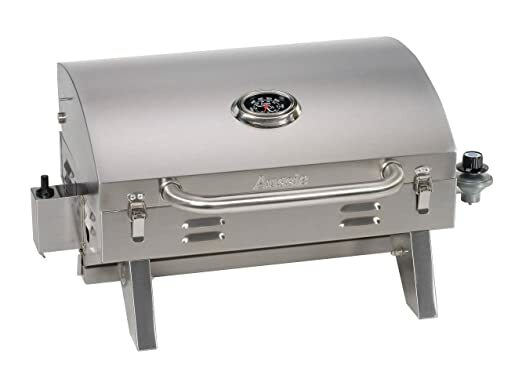 This electric grill boasts a compact, tabletop design that is ideal for use in small spaces or for on-the-go grilling and boasts 200 square inches of cooking space along with a three-position cooking element for precision heating. 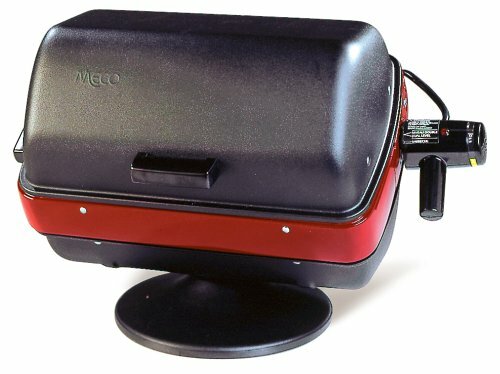 This electric grill provides 176 square inches of cooking space in a compact design that is ideal for use in small spaces or on the go. The lightweight design along with stay-cool wooden handle and interlocking hood and bowl allow for ease of portability. This electric grill provides 164 square inches of cooking space in a compact design that is ideal for use in small spaces or on the go. It boasts thermostatic control and requires only a standard electrical outlet for use. 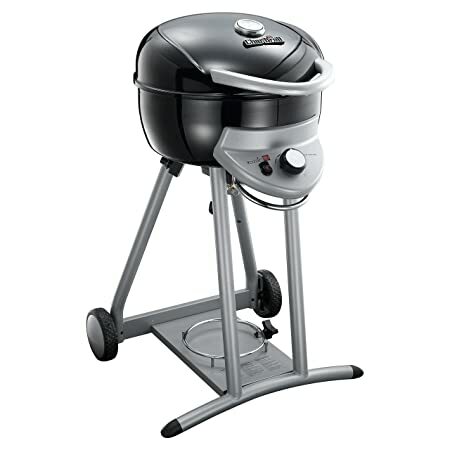 This electric grill comes complete with a rotisserie for all your cooking needs. The cooking element is adjustable in three positions and the integrated viewing window allows you to see the status of whatever’s on the 200 square inches of cooking space. 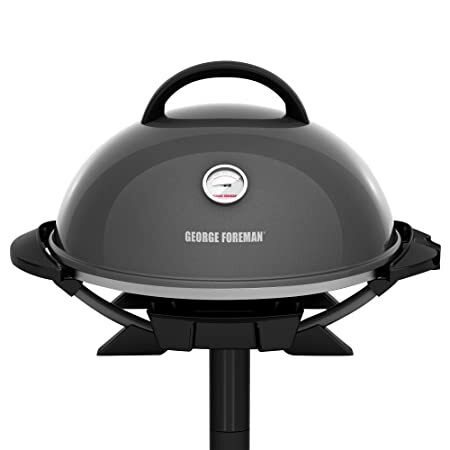 This electric grill is a thing of beauty and boasts a built-in design that is sure to make it the focal point of your space. It is suitable for use both indoors and outdoors and heats up to 500F in just 7 minutes and provides 155 square inches of cooking surface. 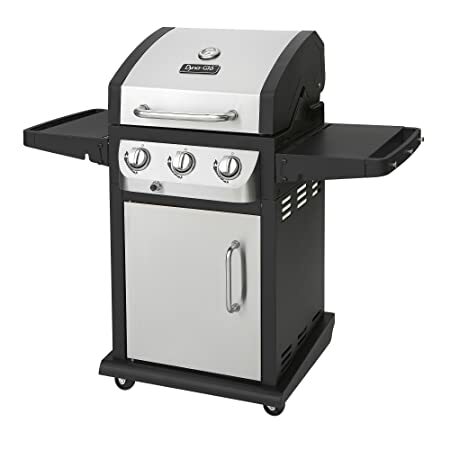 This gas grill features two burners and 26,500 BTUs of cooking power. 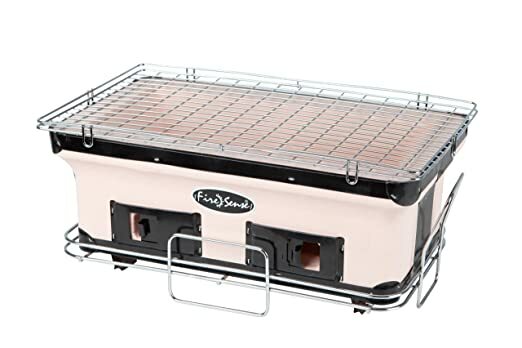 It provides 280 square inches of cooking surface and features durable porcelain-coated wire grates and integrated side shelves that help increase your food prep area. 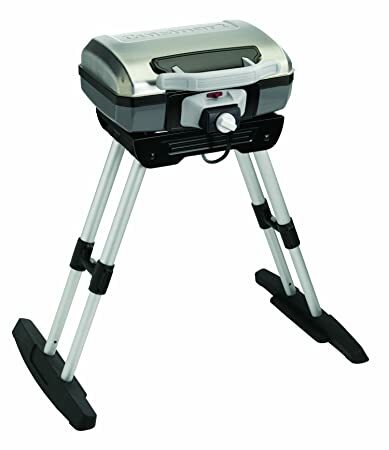 This gas grill comes completely assembled right out of the box so you can get grilling in less time. It boasts a single burner that provides 8,500 BTUs of cooking power and 189 square inches of total cooking surface. 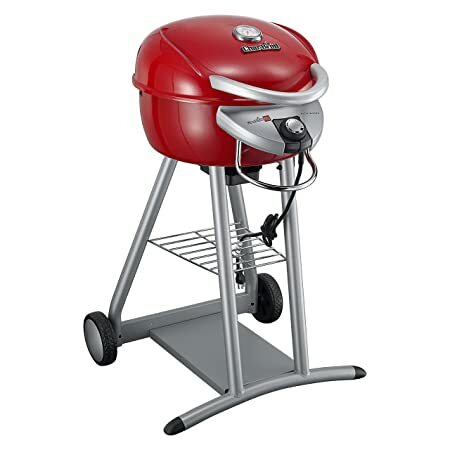 This deluxe gas grill boasts a compact design that makes it ideal for use in smaller spaces or for on-the-go grilling needs. It provides 190 square inches of cooking surface and 11,000 BTU burner. 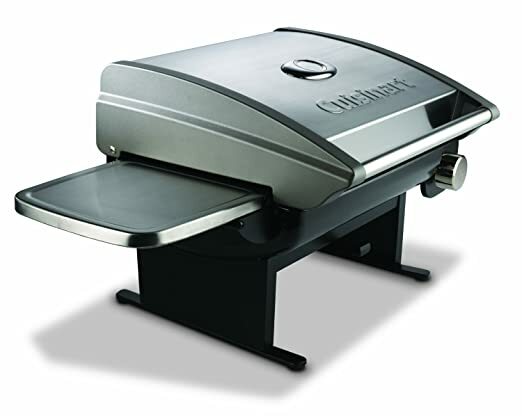 This gas grill provides 360 square inches of cooking surface and 90 square inch for warming already cooked foods. There are two stainless steel burners that provide 26,500 BTUs of cooking power and the porcelain-enameled, cast-iron cooking grates are designed for years of dependable use. This gas grill provides 320 square inches of cooking surface and boasts a TRU-Infrared cooking system that cooks food more evenly and with less flare-ups. The integrated stand boasts wheels for ease of portability. 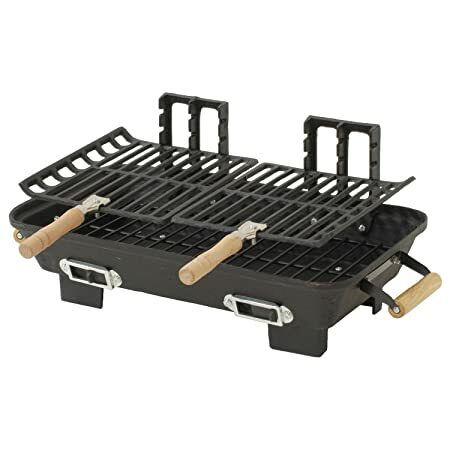 This gas grill boasts a tabletop design that is compact and ideal for on-the-go grilling or for use in small spaces. It provides 305 square inches of cooking surface thanks to a single 12,000 BTU stainless steel “U” burner. 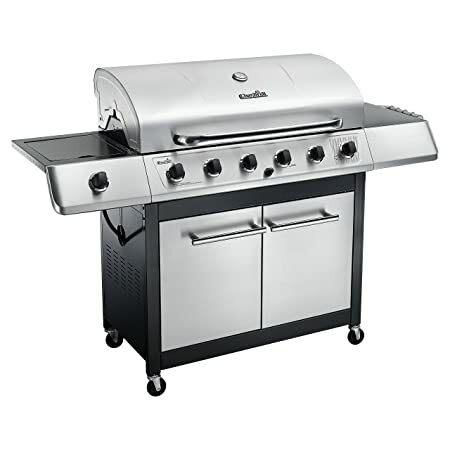 This gas grill provides a generous 637 inches of cooking area with three burners and 38,000 BTUs of cooking power. 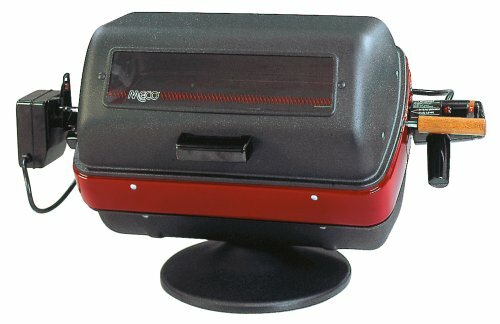 It features a front-mounted control panel for easy adjustments and an electronic ignition system for ease of starting. 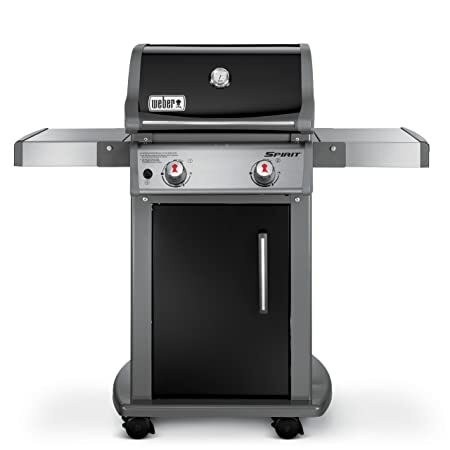 This gas grill provides a generous cooking area of 650 square inches, along with 250 square inches of warming area thanks to its six burners and 65,000 BTUs of power. There’s also a 10,000 BTU lidded side burner so you can cook complete meals at once. 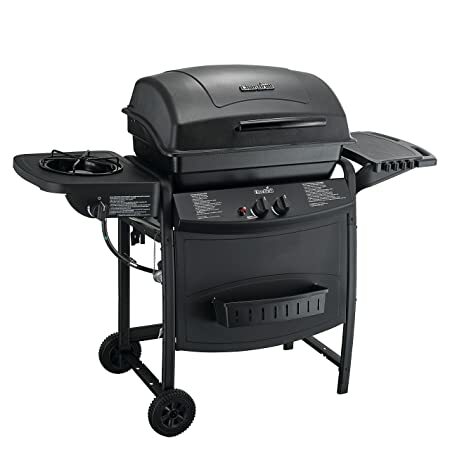 This gas grill boasts a compact design that is ideal for small spaces or on-the-go grilling and provides 189 square inches of cooking space with 8,500 BTUs of power. It comes completely assembled and features porcelain-enameled cast iron cooking grates that are incredibly durable. 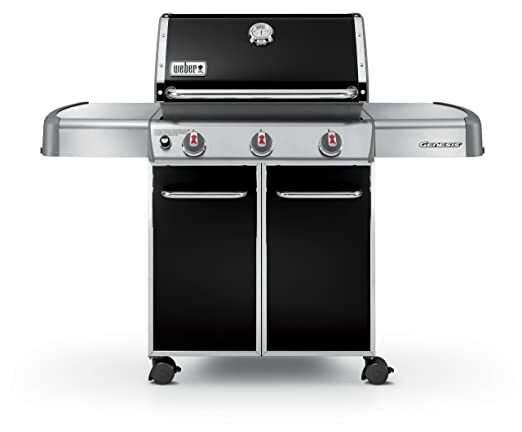 This gas grill features interchangeable cooking surfaces that are perfect for grilling any number of foods including meats, vegetables, and even fruits. It boasts 12,000 BTUs of cooking power and a tabletop design that is ideal for small spaces or on-the-go cooking. This gas grill provides 530 square inches of cooking and warming surface area and 35,000 BTUs of power through the two burners. It comes complete with an 8,000 BTU side burner that allows you to cook complete meals at once. 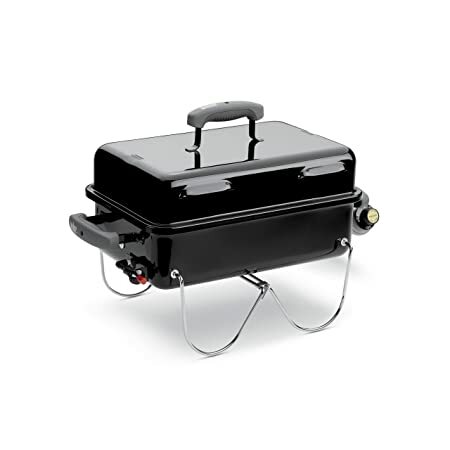 Thanks to the unique design of this tabletop gas grill, it is incredibly lightweight and boasts an pronounced briefcase-style carrying handle that makes it easily portable. It provides 145 square inches of cooking surface thanks to a 5,500 BTU burner. This outdoor gas griddle provides 756 square inches of flat cooking surface thanks to 60,000 BTUs of power provided by four independently-controlled burners. It is easy to assemble and features locking caster wheels for ease of portability. 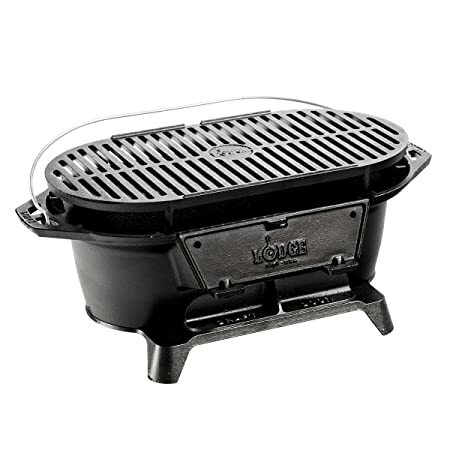 This gas grill provides 160 square inches of cooking surface and boasts a compact design that makes it ideal for use in small spaces or for on-the-go grilling. The durable porcelain enameled steel cooking grate provides even heat distribution while helping to prevent flares. 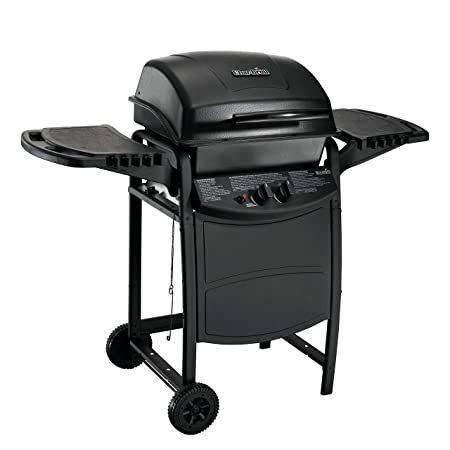 This gas grill allows for the feel of a full-sized model while still boasting a compact width for use in tighter spaces. It provides 503 square inches of cooking space thanks to 36,000 BTUs of cooking power from three stainless steel commercial grade burners.